At Value Pet Clinic - Kent, an expert staff of veterinarian doctors and a skilled team of technicians are here to do just that. Under the directorship of our highly skilled veterinary doctors, your pet is always in good hands. We're ready when your pet needs us. Dr. Eibey knew at a young age she wanted to be a veterinarian. In elementary school she missed a day of school to watch the family’s German Shepherd Dog, Jazz, whelp a litter of four puppies. Her passion deepened in high school when she watched Jazz and Rex suffer through their battles of Degenerative Myelopathy (an incurable neurological condition). She knew she wanted to help families care for their beloved pets. Dr. Eibey enjoys small animal internal medicine and soft tissue surgery. She believes quality veterinary medicine should be attainable for all pets. 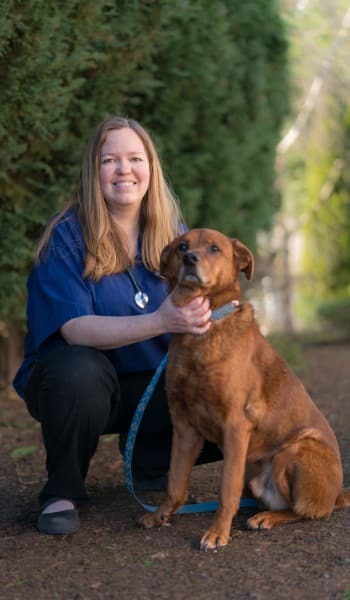 Prior to her undergraduate training, Dr. Eibey worked as a receptionist and assistant at Value Pet Clinic in Kent, WA. She got her start here, learning about vaccine protocols and animal restraint. She received her undergraduate training through Green River Community College and Washington State University. Dr. Eibey received he Doctor of Veterinary Medicine degree at Washington State University in May 2015. She then spent two years with Value Pet Clinic Puyallup, prior to returning to Kent in September 2017. In her free time, Dr. Eibey enjoys spending time with her husband, Steve and two beautiful daughters, Madison and Natalie. They share their home with a Golden Retriever, Blitz, and Pit Bull mix, Sky. In the fall, Dr. Eibey enjoys watching football and cheering on the Washington State Cougars (Go Cougs!) and Seattle Seahawks. In the spring, she enjoys gardening and bike rides with the family in the beautiful Northwest. Dr. Irene Vanderwerff grew up in Kansas where her love of animals began early in life. She spent her childhood caring for her cats and hamsters and training her German Shepherds. She grew up listening to her parents tell stories at the dinner table about their experiences as nurses. This helped her develop an interest and passion for medicine. Early on, she decided she would marry her passion for animals and medicine by becoming a veterinarian. After high school she attended Kansas State University majoring in Animal Medicine but balancing out her education with a minor in music where she sang in the Women's Glee Club and learned to play a large beautiful pipe organ. She also spent time working for a grain science lab studying the strength properties of wheat gluten. Before applying to veterinary school, Dr. Vanderwerff decided to take a break from schooling to be a missionary for her church. She lived in Brasilia, Brazil for a year and half learning to love the Portuguese language as well as the culture and of course the people she was serving. During her 4 years at Kansas State University Veterinary School Dr. Vanderwerff worked in a dairy lab testing the natural hormone levels in the cattle. She also increased her interest in, surgery along with discovering a love for parasitology. Nothing gives her more satisfaction than getting rid of a flea infestation! While at vet school she managed to find time to earn a 2nd degree black belt in Tae Kwon Do, which she firmly believes kept her sane for 4 years. Dr. Vanderwerff started her professional career in a small Wyoming town where she gained 4 years’ experience working with clients who had small means and little ability to transfer their pets to the nearest referral center (3 hours away). The clinic treated every type of animal that was brought in including horses, cattle, iguanas, snakes, ferrets, etc. She learned to improvise and try new things and is very grateful for the knowledge she gained from that experience. Value Pet Clinic - Kent has been lucky enough to have Dr. Vanderwerff working at the Kent since 2012. She absolutely loves it here in the Pacific Northwest and has no plans to leave any time soon. She enjoys working in a walk-in clinic where you never know what to expect and every day holds a new adventure. When not working, Dr. Vanderwerff can be found cuddling with her 10 year old cat Leite (which means "milk" in Portuguese...he's a pure white cat!) and watching a good movie. She volunteers with her church and also with the Tacoma Refugee Choir where she helps out as a board member in their goal to bring fellowship to immigrants and refugees. She also enjoys playing in the nearby mountains and going to shows and events in downtown Seattle with her friends. 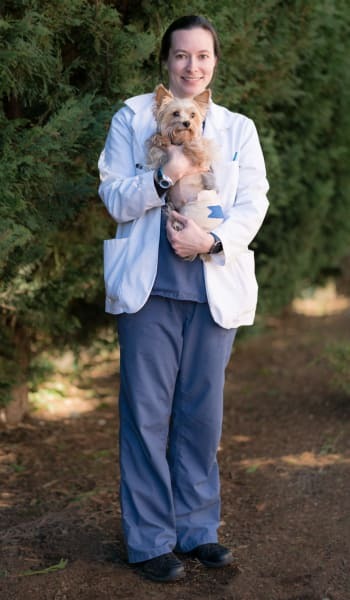 Dr. Jessica Gambriell loves being a veterinarian because she loves the special relationship that people have with their pets. Pets are members of the family and helping them to live happy comfortable lives is her goal. Her passions lie in preventative medicine and wellness. Annual wellness exams and early screening for diseases can help her evaluate conditions earlier and give her a better opportunity to treat and maintain conditions allowing pets to live longer healthier lives. 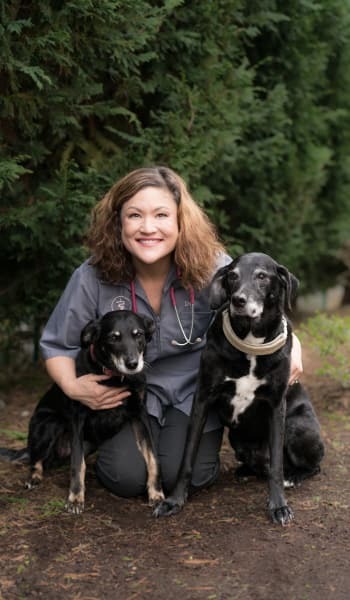 After receiving her undergraduate degree in Biology from Pacific Lutheran University, Dr. Jessica Gambriell received her Doctor of Veterinary Medicine degree from Washington State University. Upon graduating in 2010 she worked in a clinic in Tukwila for 6 months and has worked at Value Pet Clinic since 2011. She enjoys the day to day variety of working in a walk in clinic. Dr. Susan Tomlisson grew up in the Maple Valley area and attended Tahoma High School where she graduated as Valedictorian. The road to obtaining her veterinary degree began the adventure of a lifetime, taking her around the world, and finally, to settle back in her hometown. After high school she attended Whitman College in Walla Walla where she studied Biology and Chemistry. During her junior year she studied at the University of Manchester, England, which greatly broadened her horizons and helped her attain a world perspective. After returning to the United States and completing her degree at Whitman, she headed back to England for veterinary school, graduating in 2002. Along with immersing herself in veterinary studies, she also continued to explore and visited countries such as Japan, Tunisia, Egypt, Scandinavia, Europe, and she especially relished visiting the gorgeous, small English villages. After graduating from veterinary school she worked in a mixed practice in England for 2 years treating dogs, cats, cows, horses, lizards, snakes, hamsters, parrots, turtles, rabbits, and any other non-human who walked through the door. Upon returning to Washington she decided to specialize in treating Dogs and Cats, her first love. Outside of work Dr. Susan is generally spending time with her family - chasing after her 3 young children, 2 old dogs (15 year old lab mixes! ), and skiing as often as time allows!